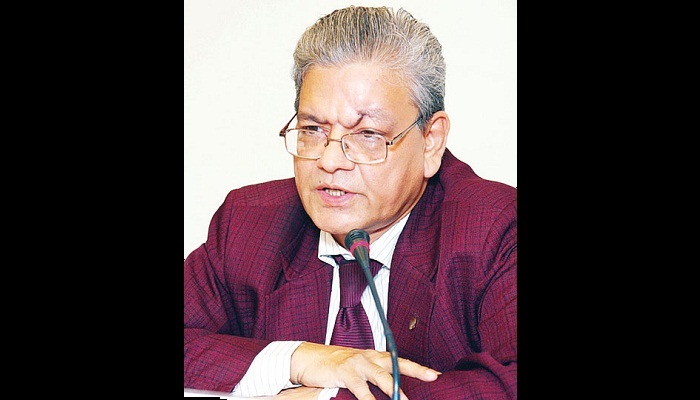 Former secretary to the Ministry of Cultural Affairs Dr. Ranjit Kumar Biswas dies on Thursday at the age of 61. According to the district administration, Ranjit Kumar was rescued from a room of the Chittagong circuit house on Thursday afternoon and rushed to the hospital where on duty doctors declared him dead. He left wife and a daughter to mourn his death. Chittagong DC Mezbah Uddin said he was lying in a room of the circuit house. Some people came to him attending a programme this afternoon. They called him but there was no response from inside. Later, he was rescued unconscious after breaking the door. Doctors said he died of cardiac arrest as vomit was found in the room. He has been suffering from diabetes for long time. Ranjit Biswas resided in Chittagong circuit house on Wednesday night to attend a family programme said Saiful Islam, Divisional Secretary of Chittagong Group Theatre Federation. Born in 1956, Dr Ranjit Kumar Biswas, a secretary to the Government of Bangladesh, is an ardent lover of art and culture. Prior to joining Civil Service in 1981 he was a working journalist. A short story writer, columnist, satirist and a cricket analyst of countrywide repute, he contributes to national and regional dailies almost every day. Dr Ranjit Kumar Biswas is a good connoisseur of music and recitation. He earned appreciations, laurels and awards for literary acumen and attributes. His self nurtured and cultured ability of recitation made him different from other government servants.